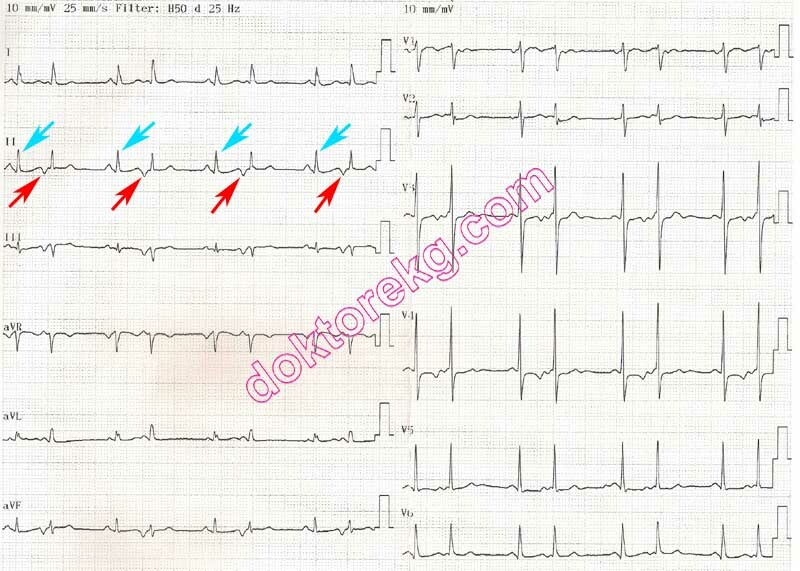 the rhythm may mimick sinus bradycardia, at first glance. 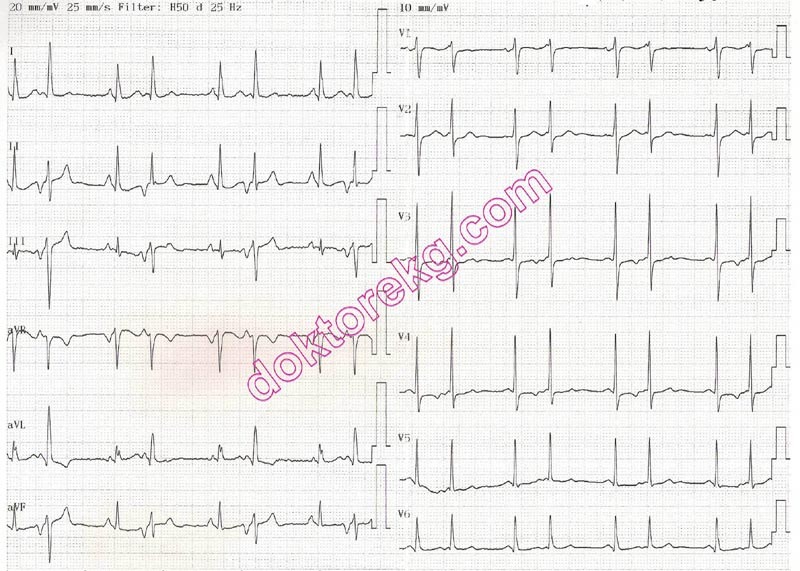 ECG 6. 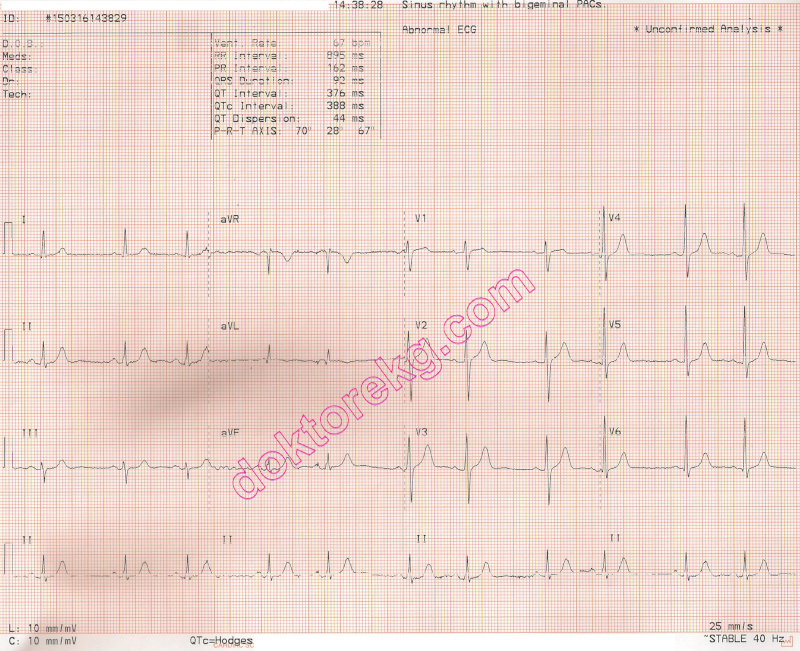 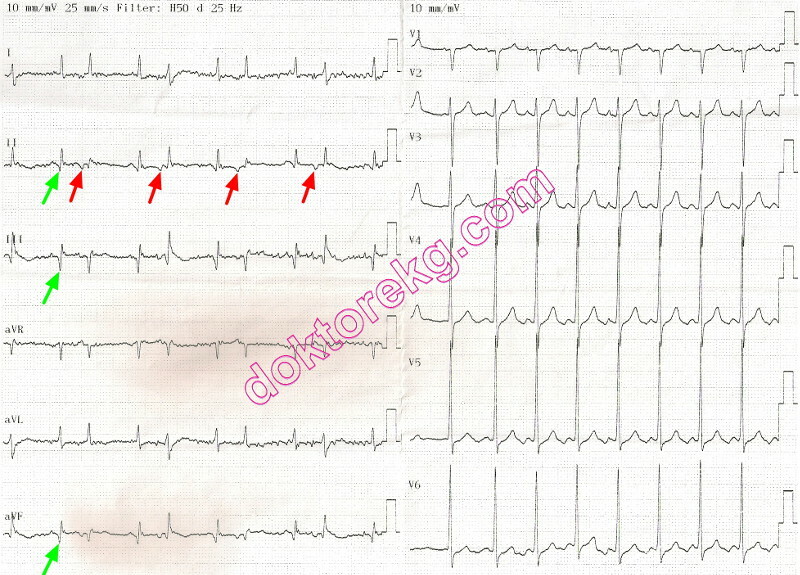 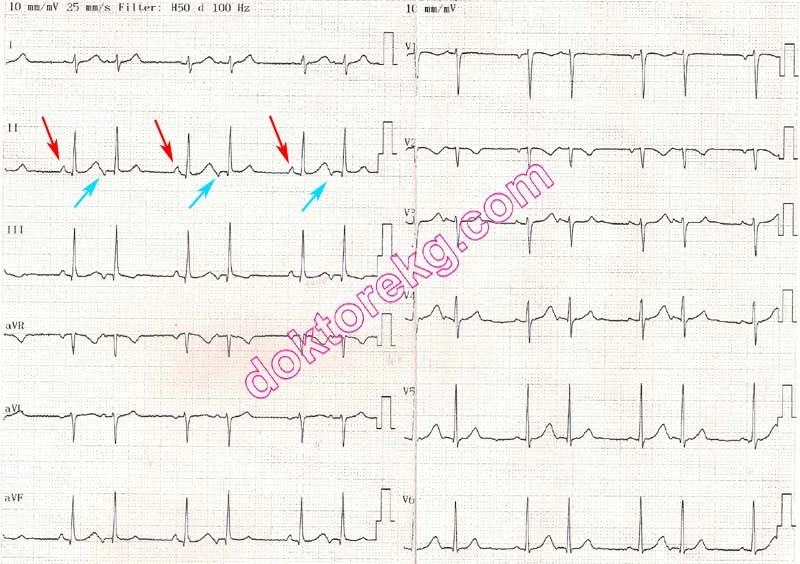 Atrial bigeminal rhythm in the above ECG may not be recognized at first glance.